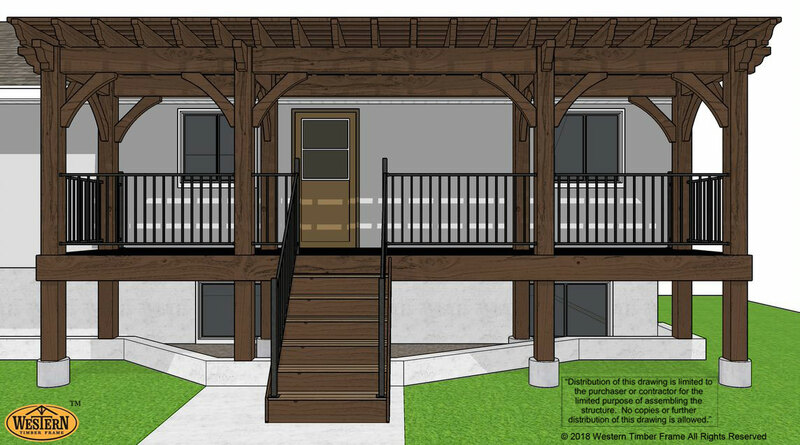 Plan on Building a Deck or Landing? 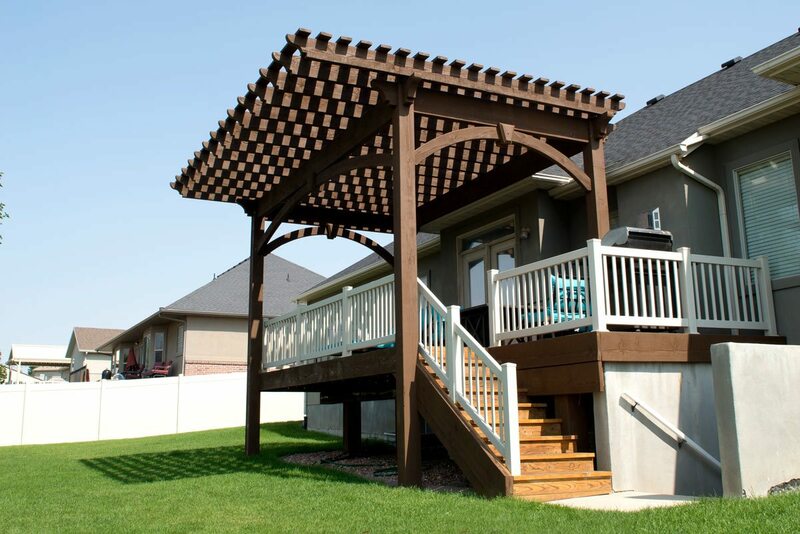 You can also build a deck yourself or have it done for you without all the mess of standard construction projects. 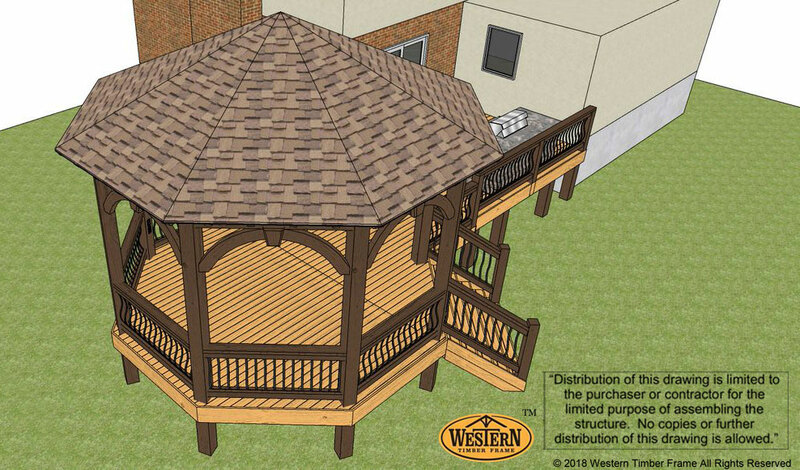 For many years, Western Timber Frame® has designed and pre-fabricated outdoor living shelters, decks, dry space, landings, steps, and railings. 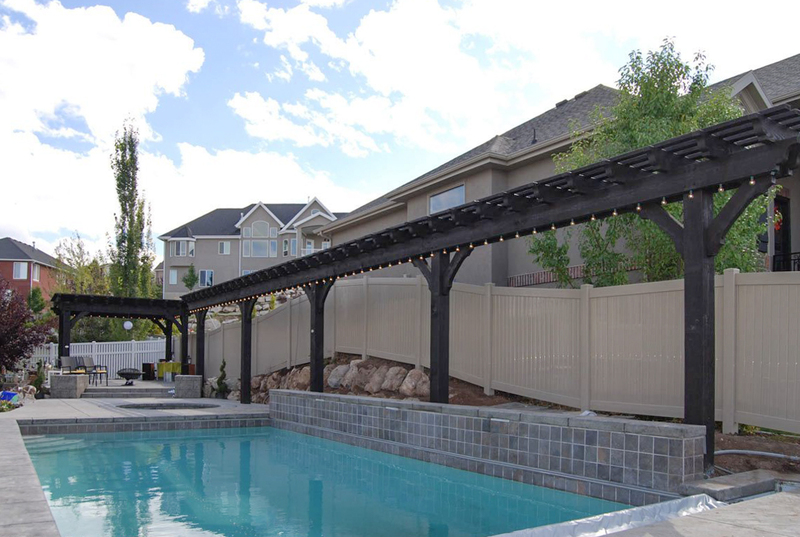 We design a quality product that is heavy-duty, and easier to keep cleanliness on all of our project sites. 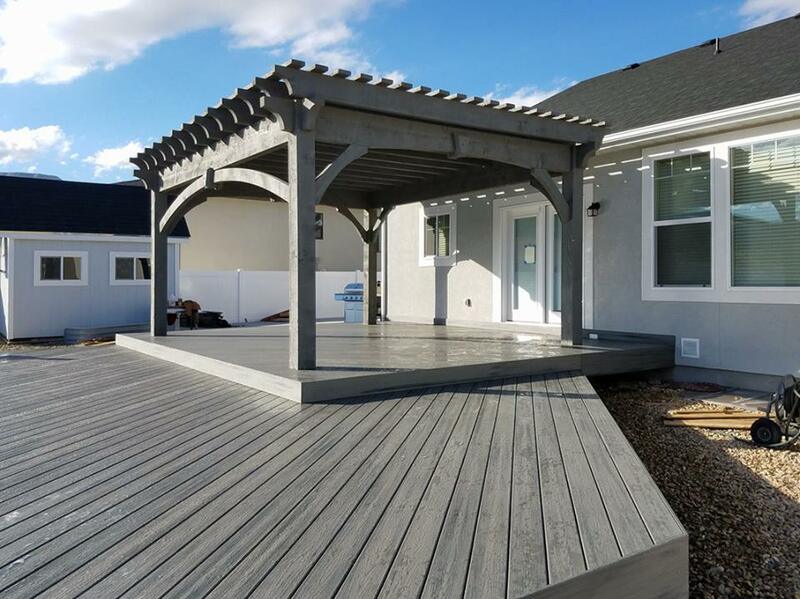 However, the conventional processes of anchoring a deck when you have to pour concrete can somewhat messy, sometimes tearing up the yard. Most of all it takes time to dry. It does not have to be that hard. 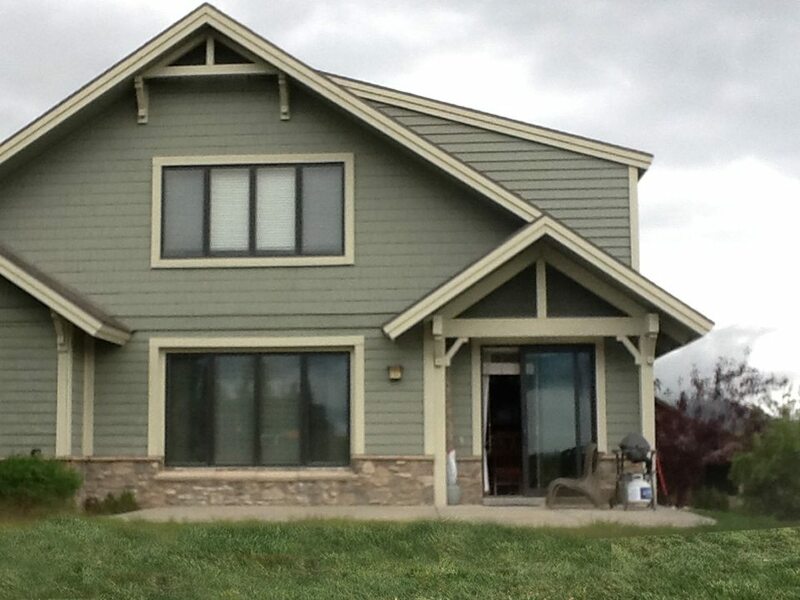 At Western Timber Frame® we like the whole process from start to finish to be a clean, happy, experience for our ShadeScape® families. 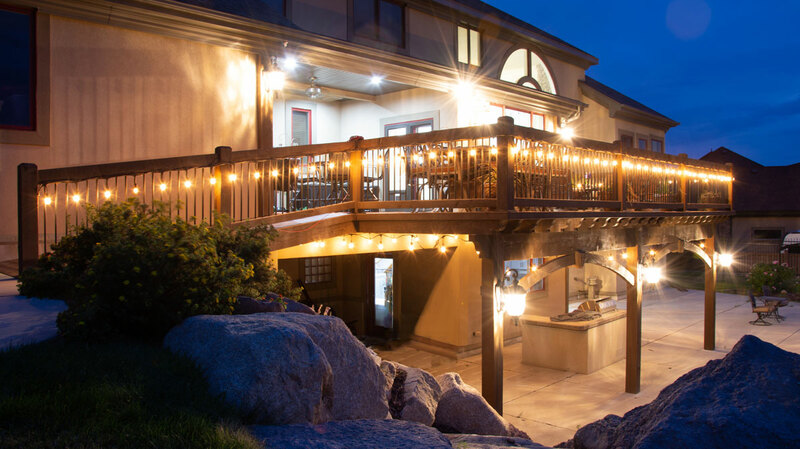 With our anchoring process, you don’t have to wait. 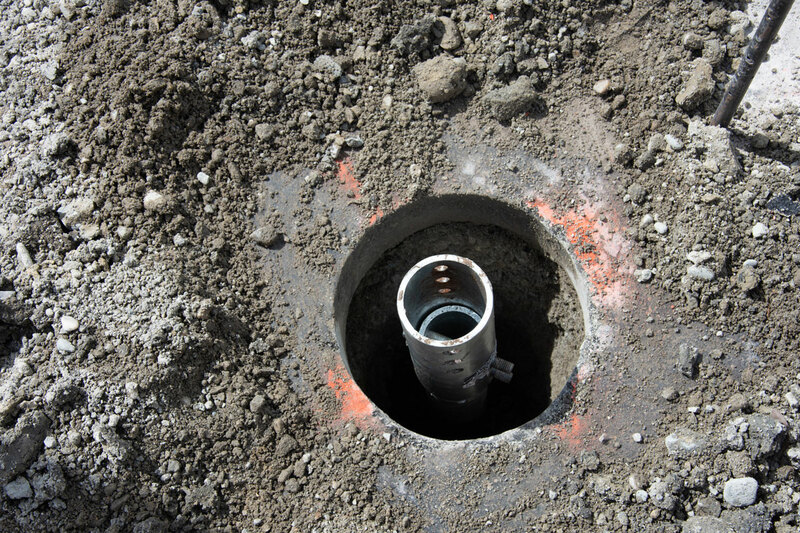 The anchors can be installed even the wintertime. 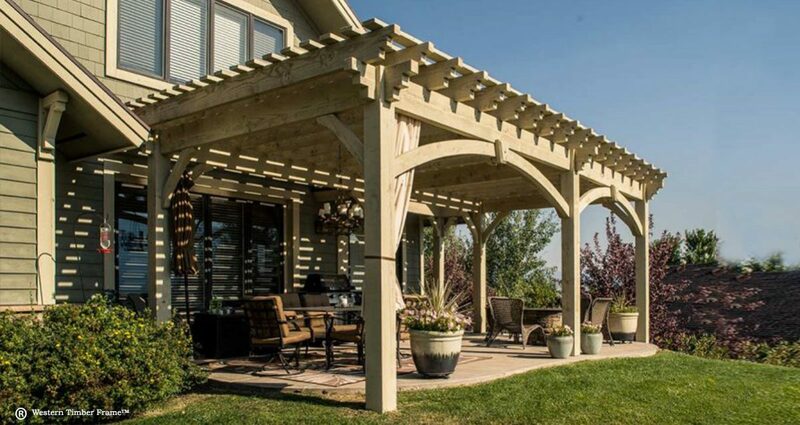 Part of a clean work site is accomplished because ShadeScape® pieces are all pre-cut, pre-stained, and pre-tested in the shop before ever being shipped to its new home. …to THIS. And, in most cases, in as little as ONE Afternoon! 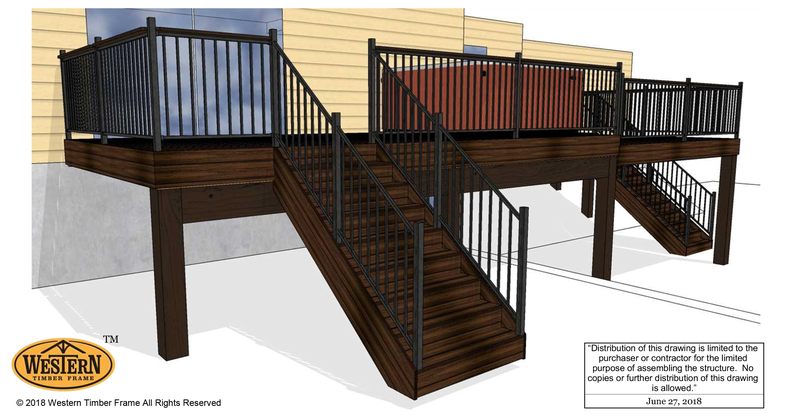 Having that dream deck is easy with ShadeScape® Timber Decks that are pre-fabricated and ready-to-go but what about the groundwork, the foundation or footings? 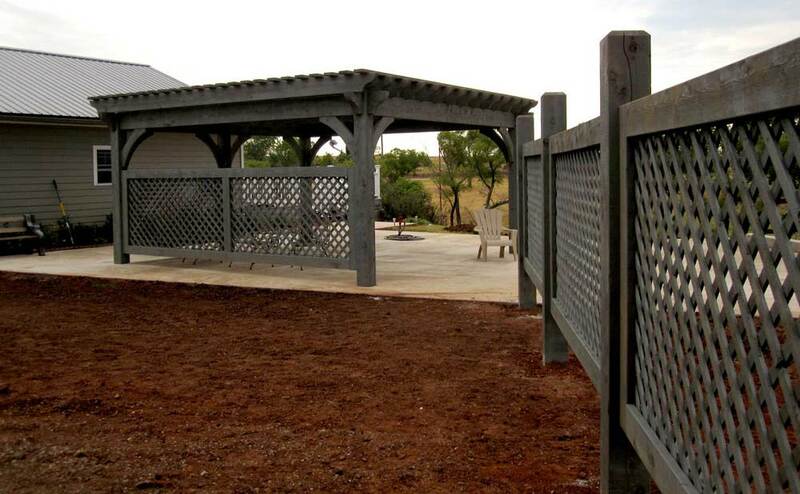 What if you do not have concrete yet – or maybe you would like to pour concrete later? Some prefer no concrete at all. That is NO PROBLEM! 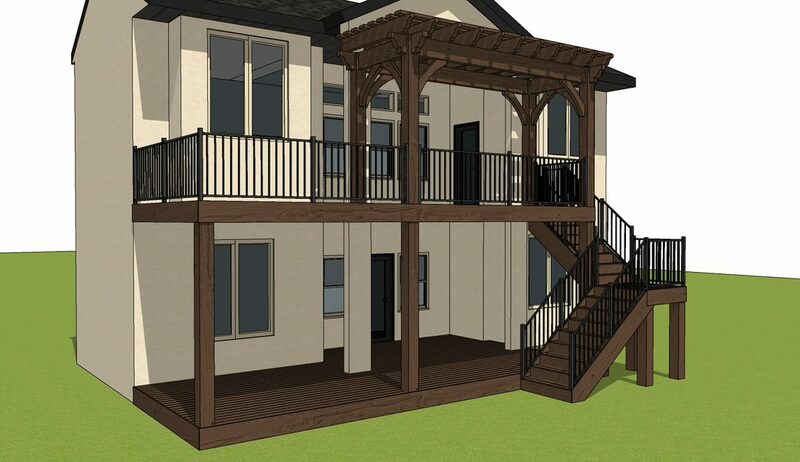 You can have YOUR DREAM DECK with NO major construction undertaking! NO BIG Holes in the Yard! No Waiting or Dry Time! 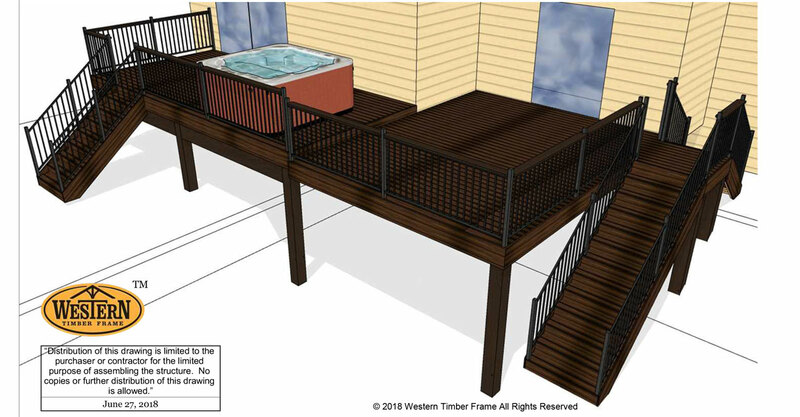 Part of the beauty of a ShadeScape® DIY deck plan for an outdoor living area is that it can be the space can be completed, expanded in steps, and budgeted out over time. 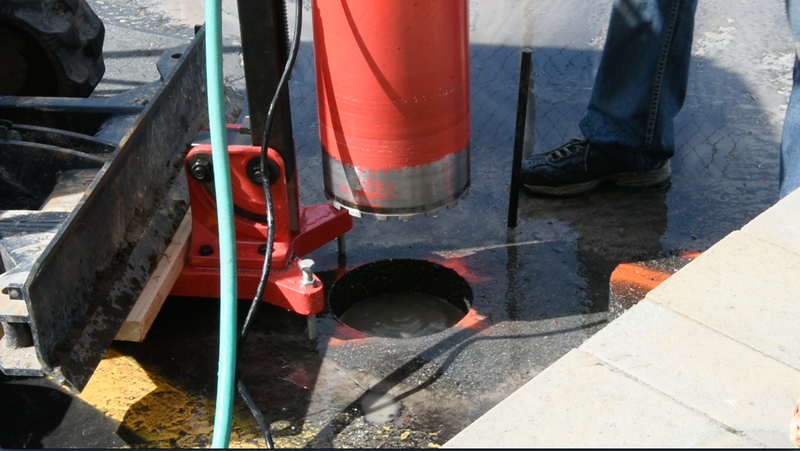 Under conventional foundation and footing methods, digging and waiting for concrete to dry is required. 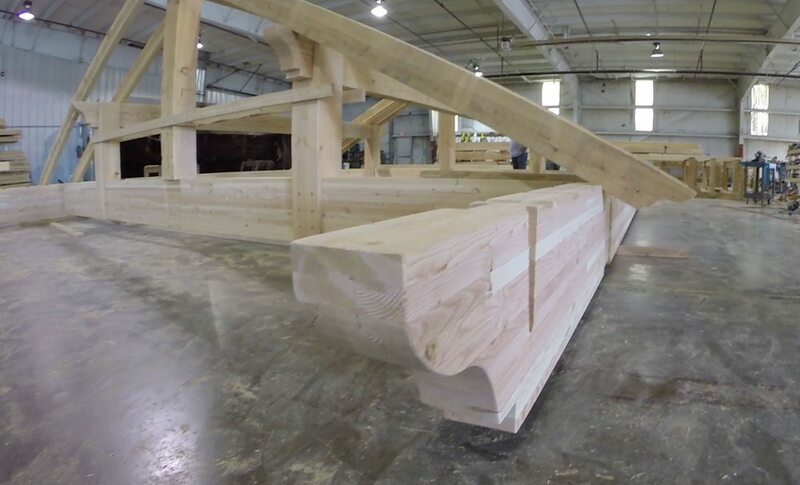 Western Timber Frame® and GoliathTech® team together to build a clean, fast and efficient working environment. Pictured here is a hole that GoliathTech® drilled through hard bedrock to prepare for a pile footing that will hold a #CarportPavilion for our shop parking lot. As can bee seen here, that is quite a thick cut. 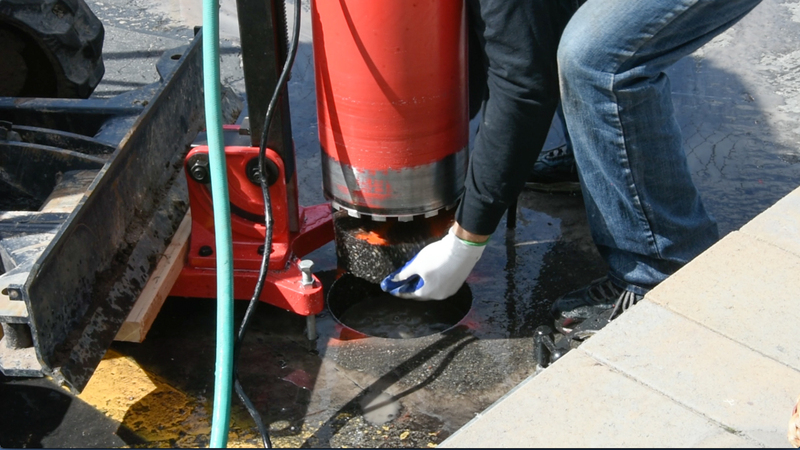 The pile (post) is then drilled down into the bedrock. 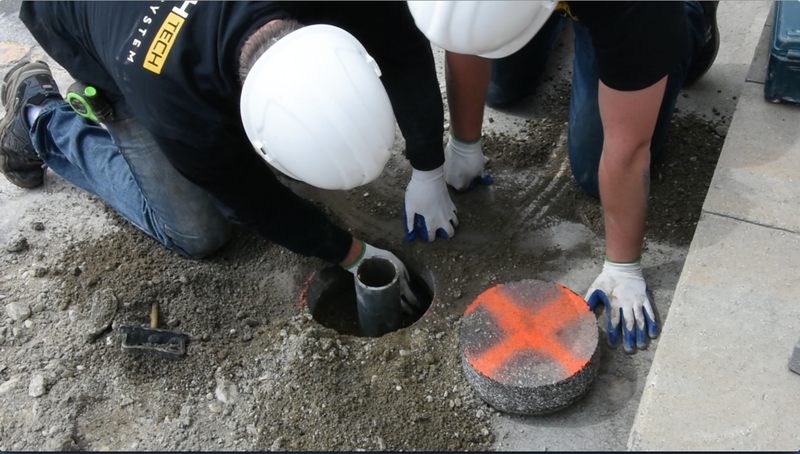 This pile is strong and goes deep into the ground making a stronger foundation and footing than conventional footing methods. 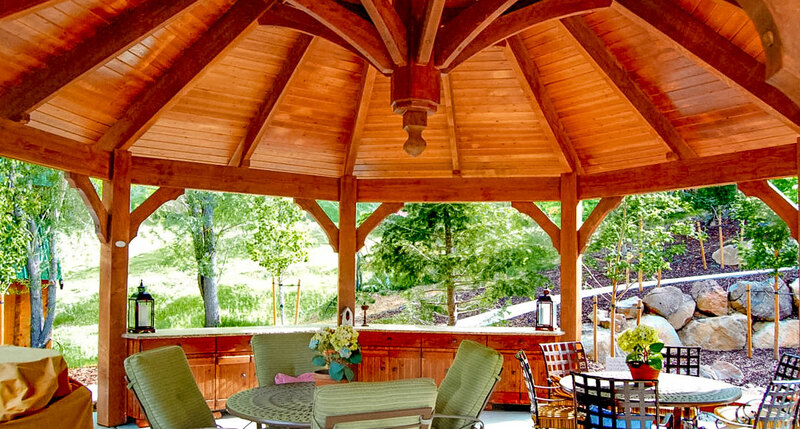 This is why – just as Western Timber Frame® does – they give such a superb warranty. 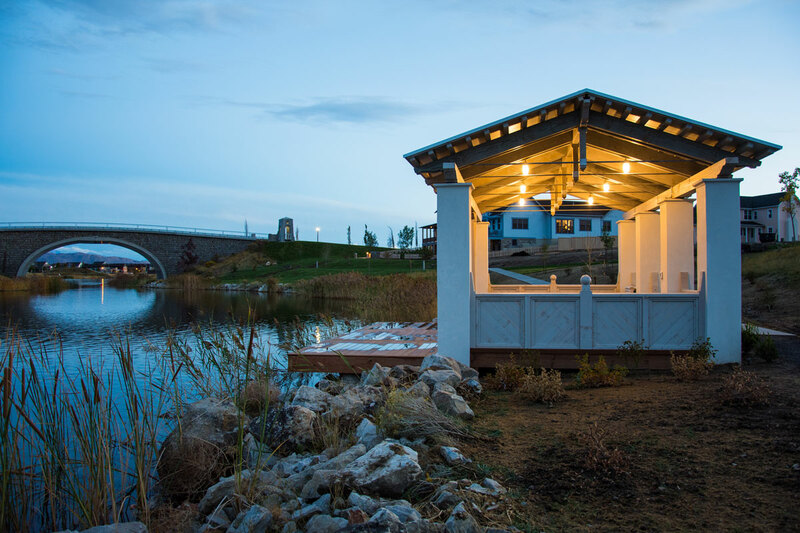 GoliathTech® has created a quality product, complimenting The Dovetail Difference® old-world craftsmanship of ShadeScape® kits, built to durable last. Our hats off in respect to men who work hard every day! 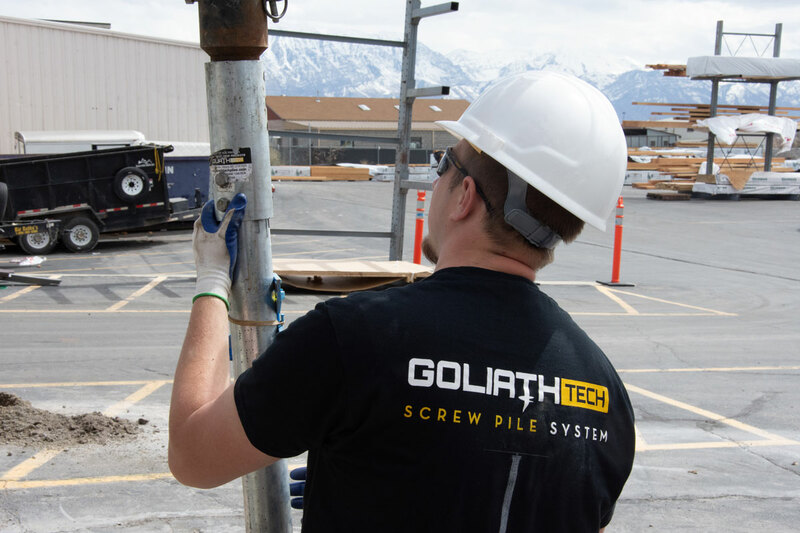 We are grateful to be working with GoliathTech® to ensure the best experience for family’s who want a fast, easy and clean construction process. Here the top of the anchor footing or pile as they are called can be seen. 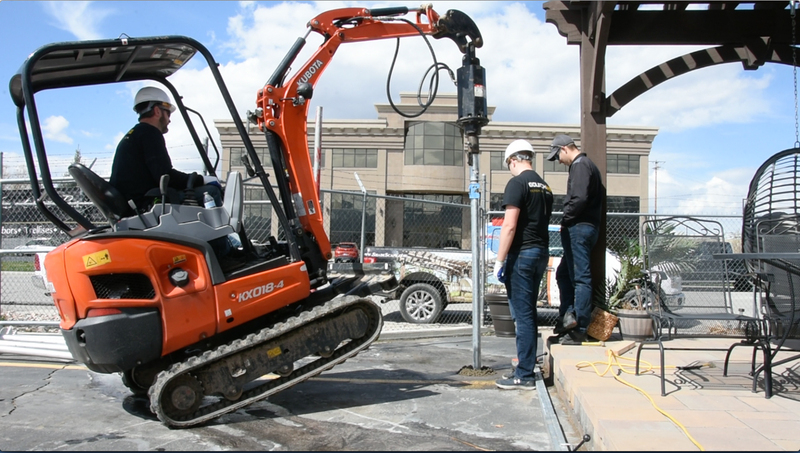 With the piles in place, alignment is easy and accurate. Best of all, NO mixing, NO pouring, NO Extensive Mess, No waiting for concrete to DRY! 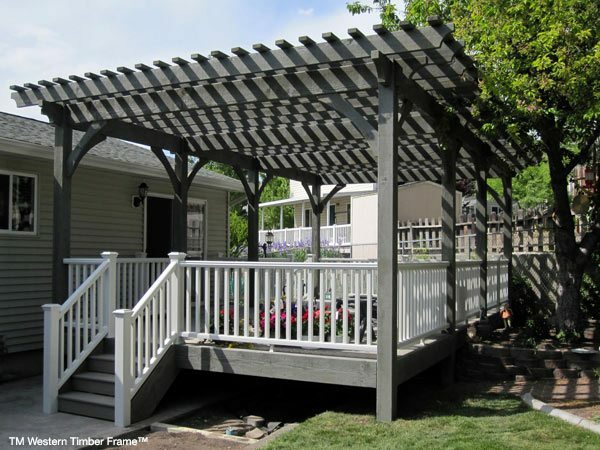 … , whatever type of structure you have in mind; the post-placement will be precise. 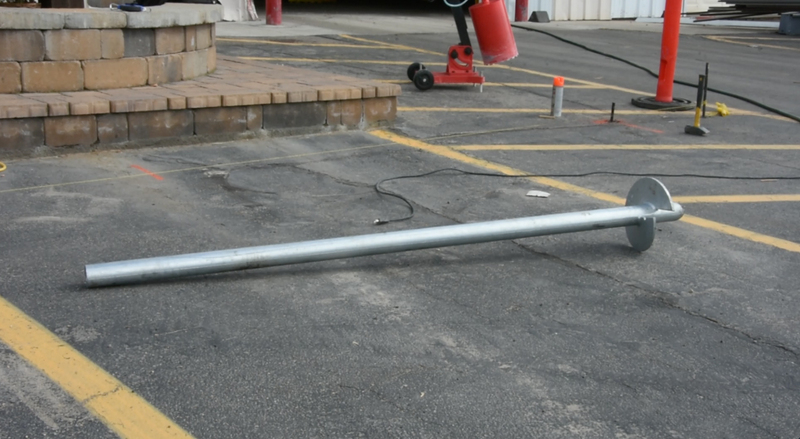 The post piles are also conveniently adjustable. 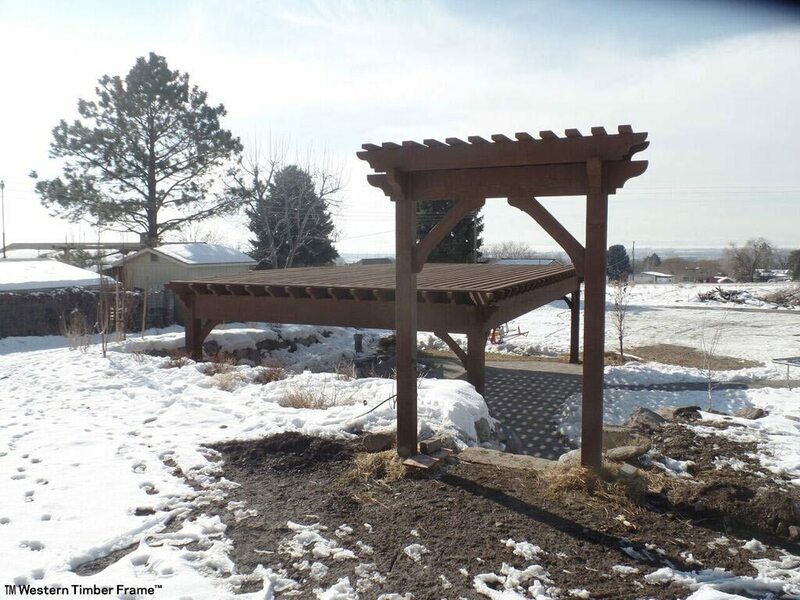 The pile anchors are in place and we are ready to erect our new #TimberCarportPavilionKit! 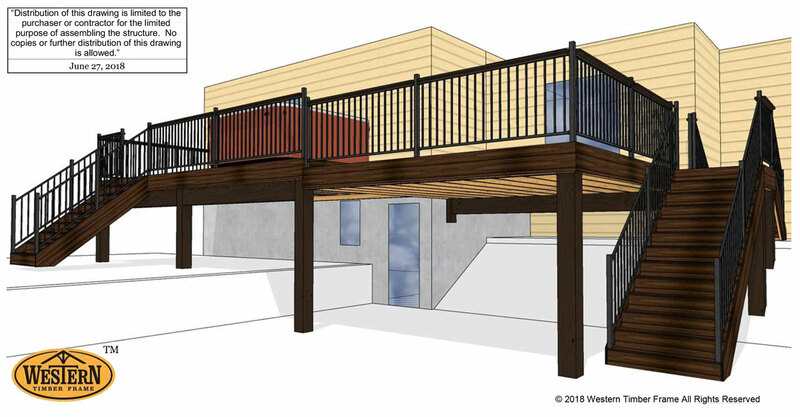 Whatever kind of deck you plan on, if you want a strong foundational system, anchoring your landing, deck or porch with our GoliathTech® piles is an excellent choice.